The Executive Leadership Team provides strategic direction and leadership for Central Coast Local Health District (the District) aligned with the District’s strategic vision of ‘healthy people – vibrant community’. Together with the District’s Board, the Executive Leadership Team drives the strategic priority of ‘Caring for the Coast’ as an intrinsic part of the organisation’s culture. Whether it is promoting preventative health measures, delivering community based care or caring for the many people who spend time in our hospitals, at every point of every service we provide our key strategic priorities of ‘Caring for our patients, our staff, our community, our resources and our future’ guide what we do. 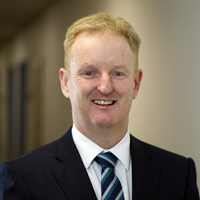 Andrew has extensive clinical and senior management experience within the health sector both in Queensland and NSW. Andrew studied medicine at the University of New South Wales (UNSW) and has a Masters in Health Administration from the UNSW. He is a fellow of both the Royal Australian College of General Practitioners and the Royal Australasian College of Medical Administrators. Andrew’s previous role was as Executive Director Operations for Northern Sydney Local Health District, where he also acted as the Chief Executive for an extended period. 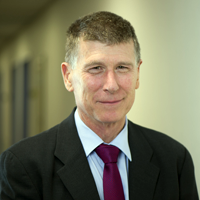 Andrew worked clinically for 10 years, both in hospital and as a general practitioner, and since 2005 has held the roles of: Director Medical Services, Mercy Health and Aged Care Central Queensland; Deputy Director Medical Services, Royal North Shore Hospital and Director Medical Services Northern Beaches Health Service. As Chief Executive, Andrew reports to the CCLHD Board, and has overall responsibility of ensuring District services and performance meet the requirements of the annual Service Agreement between the District and NSW Health for the population of the Central Coast. Kate has over 25 years’ experience in health gained in the UK and Australia. She holds a BA (Hons) from the University of Kent (UK) and a post graduate Diploma in Management Studies from the University of Brighton (UK). Kate has held the roles of Executive Director Clinical Operations both for a National Health Service Trust in the UK and at Southern Local Health District. She was also the Director of Broadmoor High Security Hospital. Her experience includes: operational management of clinical services; service redesign including the development of integrated care models; and various capital works projects including both refurbishments of facilities and new building construction. 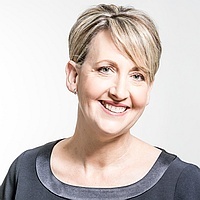 As Executive Director Clinical Operations for CCLHD Kate is responsible for the operational management of all clinical services across Gosford, Wyong, Woy Woy hospitals, Long Jetty Health Care Centre, community based services and mental health services. Kate’s role is to ensure we deliver high quality and safe services within our resources that meet the requirements of service delivery as defined in the Service Agreement with NSW Health. 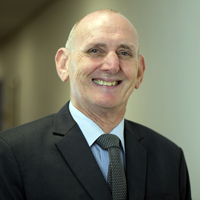 Bruce has over 40 years of experience in medicine as a Rural General Practitioner, Chief Medical Officer, Director Medical Services and Director of Clinical Governance. He has also worked for the Royal Flying Doctor Service. Bruce holds a Bachelor of Medicine and Bachelor of Surgery from the University of Sydney, and is a fellow of the Royal Australian College of General Practitioners, the Australian College of Rural and Remote Medicine, and the Royal Australasian College of Medical Administrators. His management experience encompasses medication administration, clinical governance and executive management. In his current role as Executive Director Medical Services, Bruce provides leadership in clinical service planning and models of care, and profession specific leadership of the medical workforce. He also contributes expert input into the deployment of medical staff, and oversees medical workforce education, medical credentialing and scope of practice. Lynne is a Registered Nurse with 35 years of experience. This includes midwifery training in NSW and experience working across many clinical areas including surgery, medical, critical care, subacute and aged care. 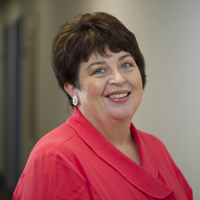 Over the last 14 years Lynne has worked in senior nursing/executive leadership roles across New South Wales, ACT and Victoria. She has completed tertiary studies and holds a Masters of Enterprise – Executive from The University of Melbourne. In her current role, Lynn provides executive leadership to the nursing and midwifery professions across the Central Coast Local Health District, ensuring that staff provide quality care to our patients and community. Her role also ensures that workforce planning and effective people management strategies are in place, and that continuous improvement and excellent clinical care is encouraged at all times. 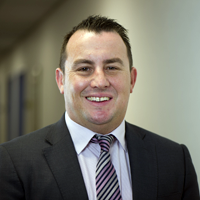 Greg has a wealth of experience in corporate finance and accounting across the telecommunications, education, local government and health sectors. For over 17 years Greg has focused his skills on managing the financial performance of the health sector working at both South-Western Sydney Local Health District and Central Coast Local Health District during that time. He holds a Bachelor of Economics and Finance, a Master’s degree in Accounting and is a Certified Practicing Accountant (CPA). Greg is responsible for managing the financial performance of the District in addition to the corporate functions (such as cleaning, patient transport, security, purchasing and clinical equipment maintenance) that ensure clinicians are able to focus on delivering patient care. He is also responsible for capital works, maintenance and asset management. Simon has worked within NSW Health for 19 years, holding key ICT leadership roles across multiple Sydney-based Local Health Districts. His experience includes: managing large multiple site ICT departments; implementing new multi-million dollar ICT software/systems; and project managing new ICT systems/equipment delivery for $1 billion NSW hospital redevelopment projects. With a background in clinical informatics, Simon holds a Bachelor of Applied Science – Health Information Management from the University of Sydney. In his role as Director of ICT, Simon leads, plans and manages ICT service delivery at both the Central Coast and Northern Sydney Local Health Districts. This includes implementing the ICT strategy and related priorities, as well as building and maintaining effective strategic relationships across the NSW Health system and ICT industry. 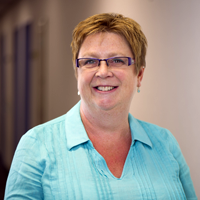 Fiona has more than 30 years’ experience with CCLHD. Most recently she has been a driving force behind reshaping our patient services, facilities and governance frameworks. In her previous role as Manager of CCLHD Redevelopment Program, she oversaw the major transformations of Gosford and Wyong hospital. She has also led safety and quality improvements for our organisation in other previous roles including: Manager Clinical Governance, Acting Manager Quality Unit and Manager Clinical Redesign. Fiona has a clinical background. She began her career with us as a registered nurse in 1986 and went on to hold many senior nursing roles. Fiona has completed tertiary studies including a Bachelor of Nursing and Master of Business & Technology – from the University of New South Wales. In the newly established role of Executive Director Quality, Strategy and Improvement for CCLHD, Fiona is responsible for leading, coordinating and managing the clinical governance, improvement and strategic development functions of CCLHD, providing advice to the Chief Executive, Board and leadership teams. Her directorate will drive and enable the delivery of key initiatives concerning strategic and operational planning by developing and supporting improvement, research and innovative service provision to deliver high quality, safe patient care, for the best possible value.